Women in movies are often raped and killed in order to motivate male heroes. When women began to be shown as heroes, their rapes became their own motivations. As thrilling as it is to watch Jennifer hunt down her attackers in I Spit on Your Grave , it and far too many other pictures assume that the only reason for vengeance is sexual assault on women. Which leaves me feeling conflicted about Evangeline , a film that steeps itself in vengeance cliches to address matters of humanity and spirituality. Evangeline (Katerina Katelieva), who goes by Eva, is a teenager who had a strict religious upbringing. She’s not close with her family now that her younger sister has died of an unspecified ailment. Also unclear is how she’s come to be in a public university now. Throughout the film a lot is left unexplained. It helps to think of it as a fable. An unconnected killer awakens the forest spirit by burying his victims in its ground. Eva gets along with Shannon (Mayumi Yoshida), her outgoing roommate, but being naive and social makes her a target for murderous frat boys. Eva soon gets her harsh lesson in trusting the wrong guy, when she leaves the empty dorm with him one unnamed holiday weekend. He takes her to the woods, where he and two buddies hunt her. The rest of the movie is her revenge against her attackers. Eva surprises Shannon and Molly with her party makeover. It’s a well-traveled plot, and writer/director Karen Lam has her work cut out for her to make it memorable. I think she largely achieves that, with an approach that focuses on the primal rage behind vengeance. In order to avenge herself, Eva has to give herself over to a violent spirit. 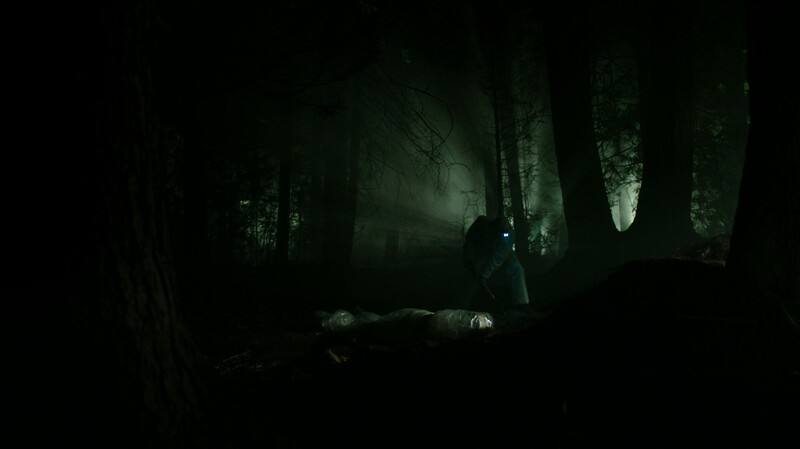 The being entered her body while she lay in the woods, either dead or nearly so (the movie is again unclear). Every time she lets the thing take over it becomes harder for her to reassert control, and Eva has to choose quite literally between reclaiming her own life and taking those of her enemies. The vengeful spirit encroaches on Eva’s soul. There’s gripping drama in that decision, especially as she has to make it again and again. The action sequences are savage and ugly; there are no slick moves or over-complicated schemes here, just people beating each other until one dies. This is the unglamorous creature Eva’s becoming. She’s feral, not some cold heroine clad in skintight leather. It’s a startling take on a genre built on emotionless, graceful women who kill with style. 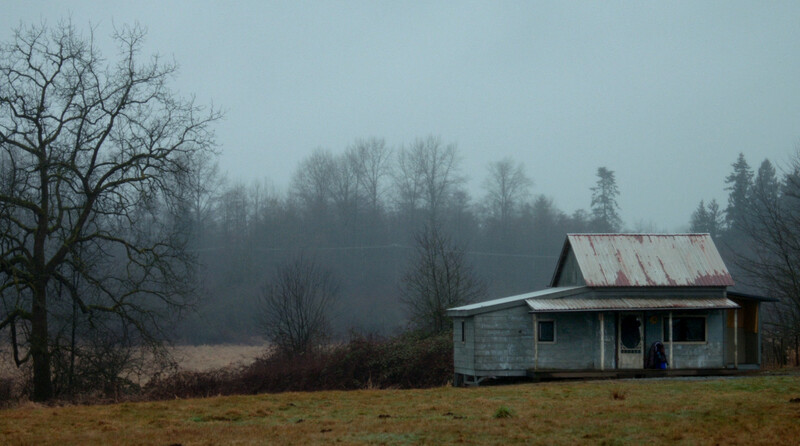 The shack that the fraternity brothers take their victims to. 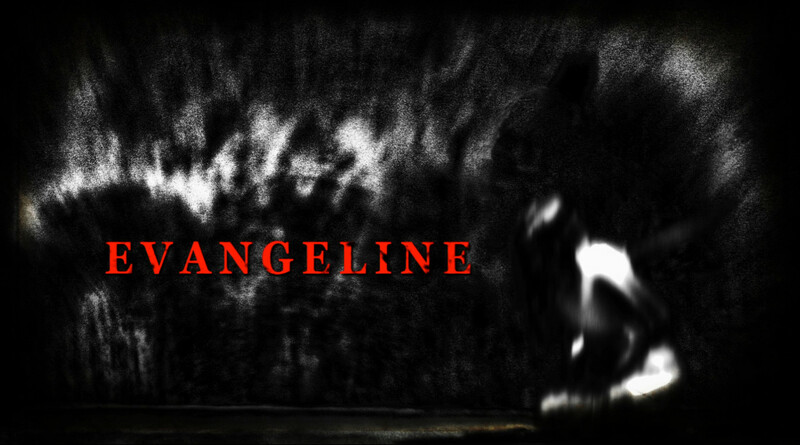 Evangeline is the sort of movie that requires you to meet it a little more than half way. It’s short on explanations and filled with stock characters, which could be the result of poor writing or a conscious effort to focus on Eva’s journey into darkness. Since I enjoyed the film and it’s take on the revenge narrative, I lean toward intentionality. After all, Eva’s transformation begins in the woods, a traditional setting for fables and a place where rules are redefined.